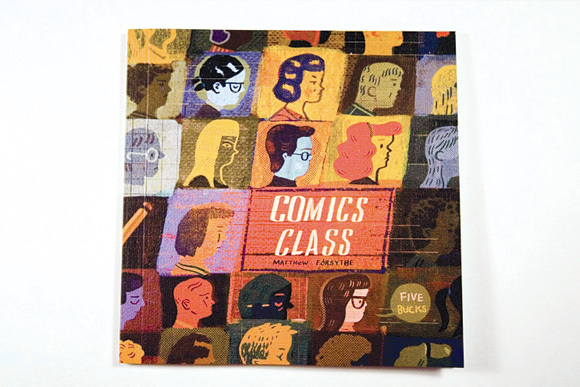 Award winning cartoonist Matthew Forsythe imparts his unique brand of comics knowledge in Comics Class. 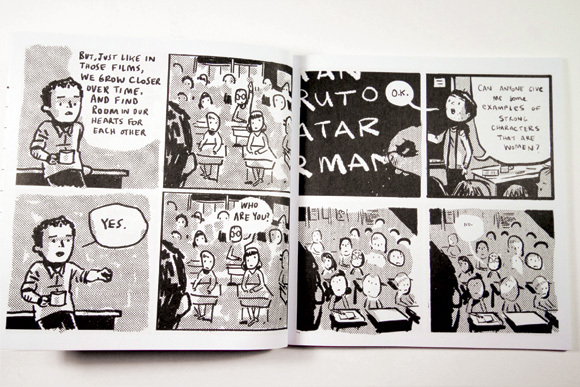 This mini comic is 44 pages of loosely-drawn, quasi-autobiographical comics about the comics class Forsythe taught. 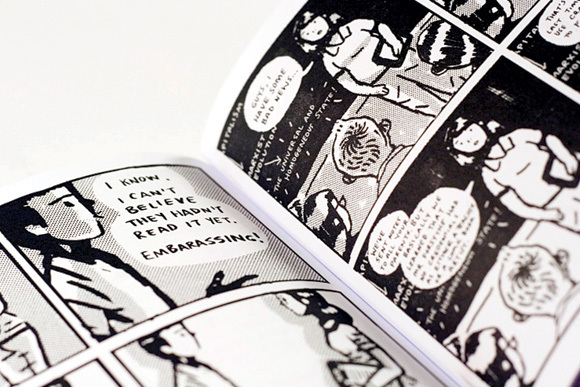 Hegelian dialectics, sexual politics and the detestable use of clipart in comics are just some of the issues that Forsythe tackles with his disaffected class of 11 year olds––that is when he isn't challenging them to arm wrestle for money. 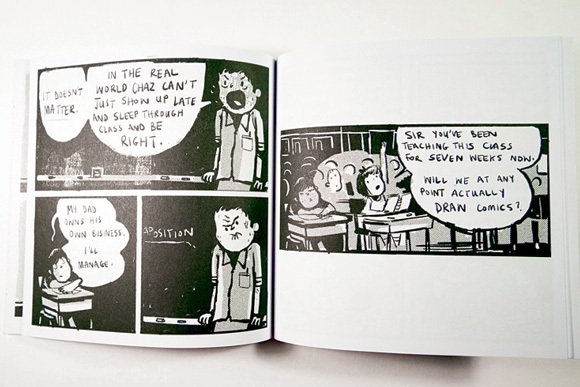 This hilarious collection of half-truths and half-baked theories lovingly skewers the life of a working cartoonist, and it might just teach you something, maybe.